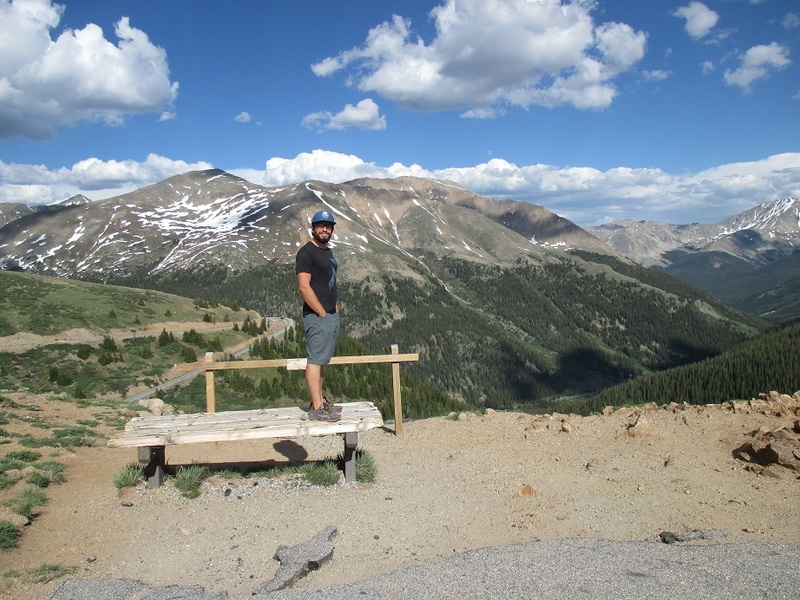 Hello everyone from Colorado! Or, in comparison to Utah – Cooler-ado. 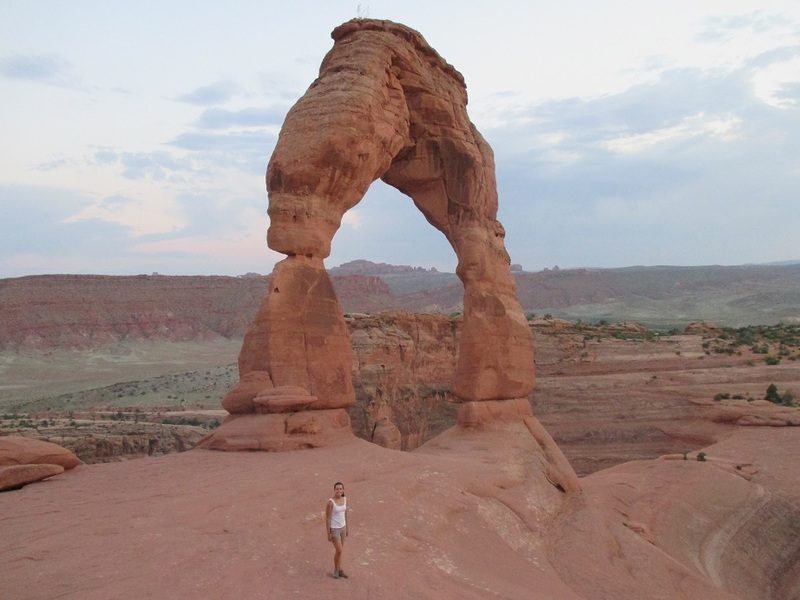 The last stop in Utah was Moab, where we visited Arches National Park. Twenty-four hours was plenty, as temperatures reached 47*C during the day. To beat the heat, we hiked at sunset and sunrise; though, to be honest, it was still really hot. At 8:00pm when we started the hike toward Delicate Arch, it was still above 30*C. When I saw the arch, I was in awe. I had seen Delicate Arch on thousands of license plates across the state, but seeing it live was incomparable. Tom also made it extra special with a surprise that he had been teasing me with for a week. He had saved a quarter from his trip to the states last year that had a picture of Delicate Arch on it. As we were sitting in awe of the arch, he pulled it out to give to me. 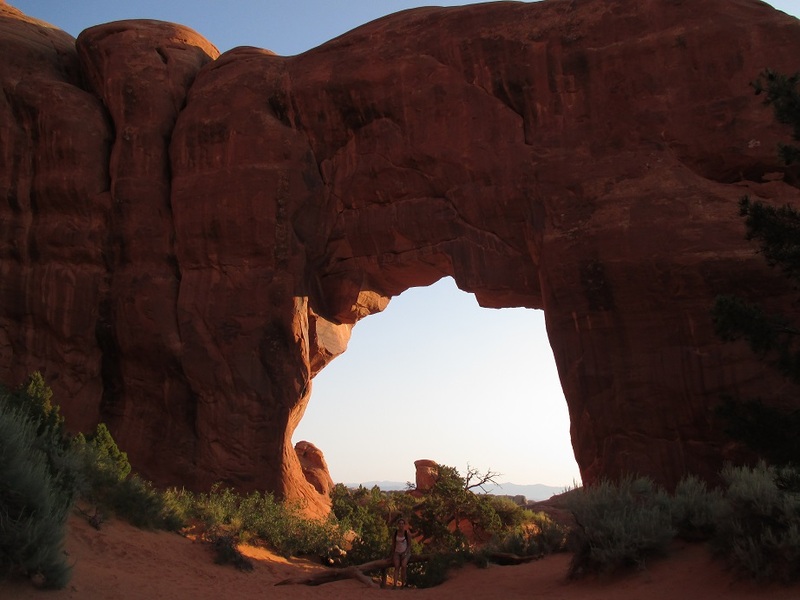 The next morning we woke at 6am to start a hike called Devil’s Garden, which includes many iconic arches: Landscape Arch, Double O Arch, Tunnel Arch, Pine Tree Arch, and Private Arch. 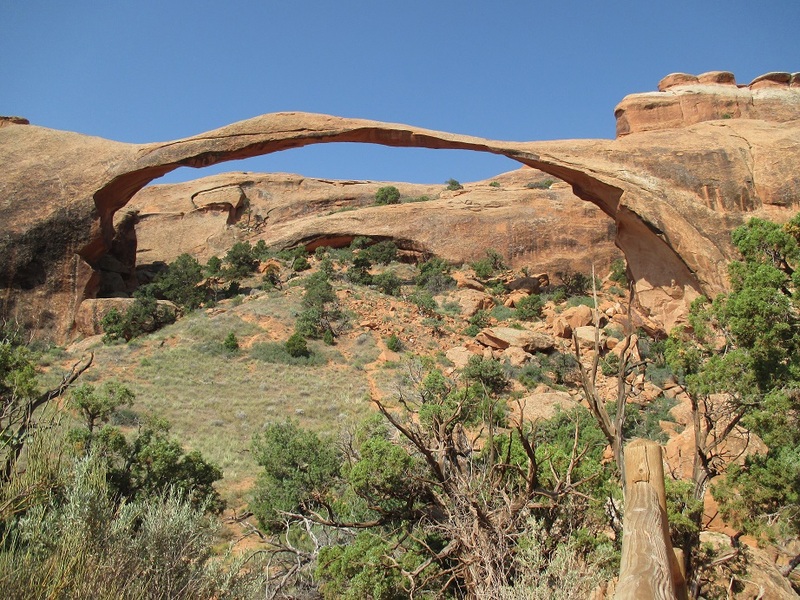 It is hard to believe that they were made by nature, especially Landscape Arch, which is the longest natural arch in the world. 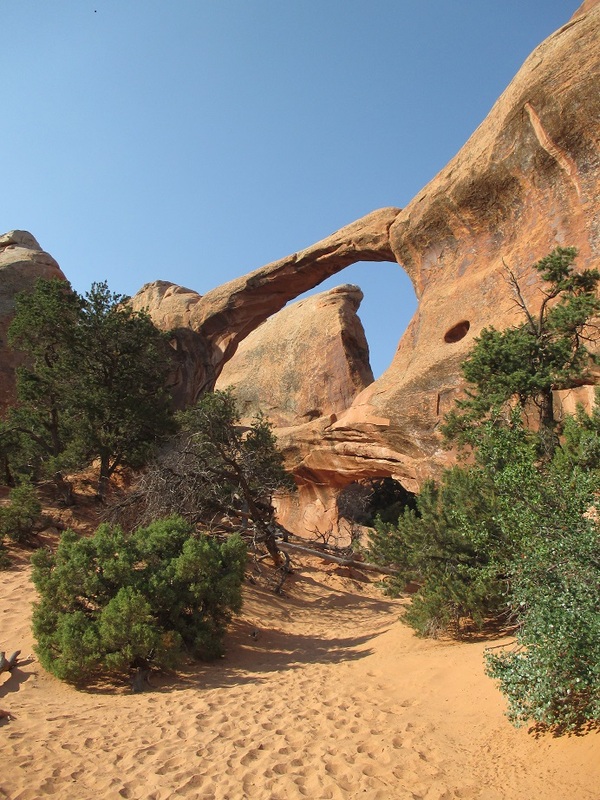 We learned that the difference between a natural bridge and an arch is that an arch is formed by natural erosion and a natural bridge is formed by water. A highlight for me was swimming in a small river that afternoon – so refreshing. 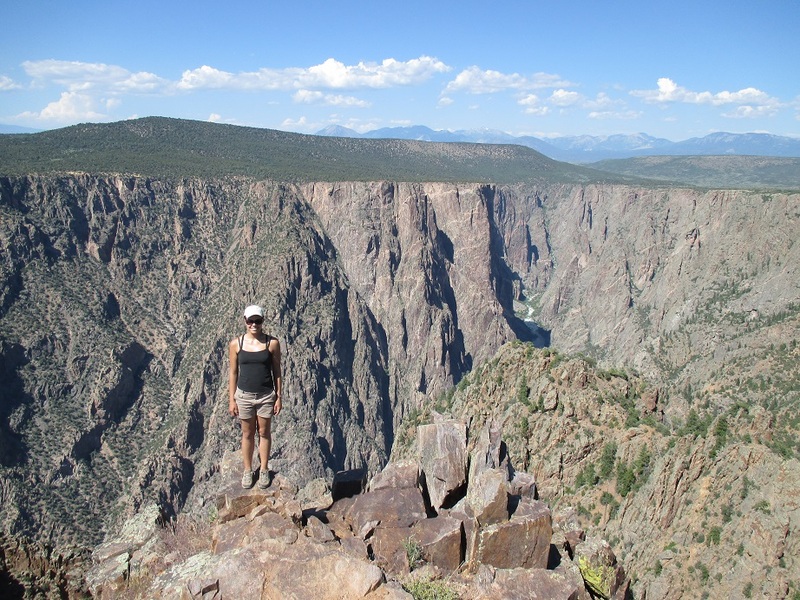 Next stop was Black Canyon of the Gunnison, Colorado. It was way less touristy than other places we have been, yet ultra-beautiful. 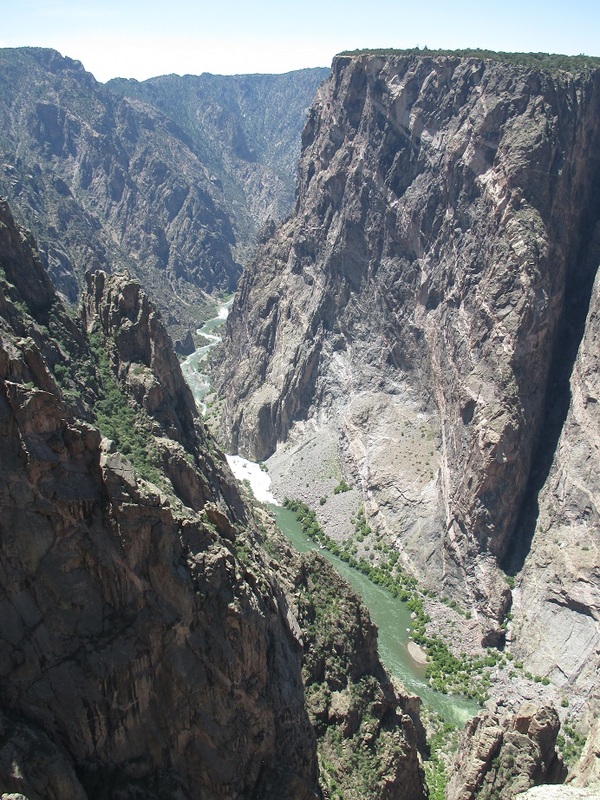 Standing on the edge of the canyon, looking 2250 feet down, you can see huge walls and cliffs running down to the white rapids of the Gunnison River. Streaks of lighter rock sweep across some of the cliffs, which is how Painted Wall got its name. I have much respect for the people who climbed it in the 60s. 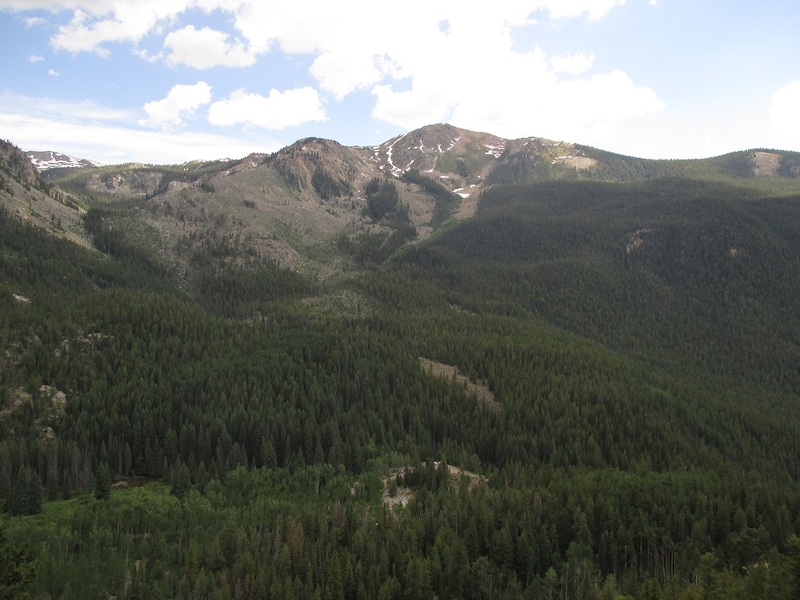 …Which was Independence Pass, near Aspen, CO. We laughed at the snow we saw in front of us, remembering that even Black Canyon of the Gunnison was in the 30s. Only a few hours away, Moab was probably still in the 40s, and here we were cooling off in the mountains, watching some people attempt to snowboard in the remaining patches of snow. 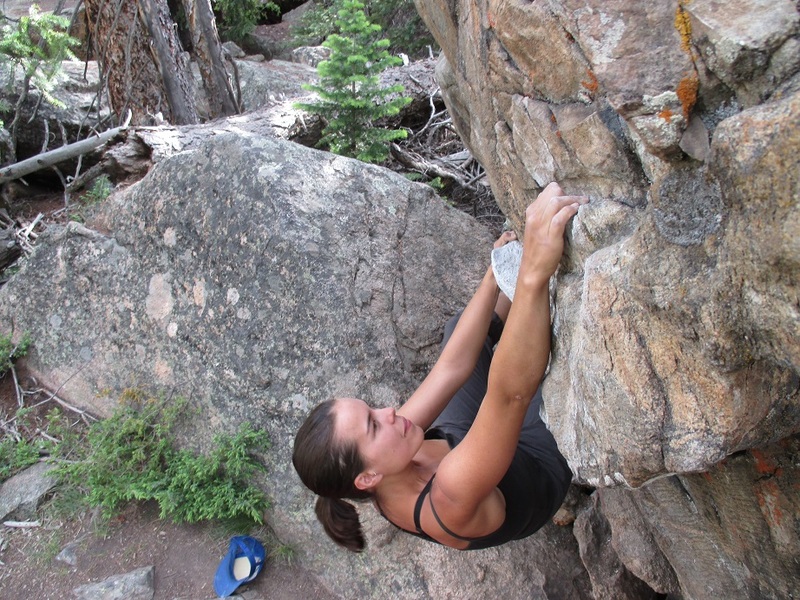 We spent two days exploring the area’s boulders and cliffs. We bouldered a bit and climbed a few cracks, which were all super fun. We climbed “Twin Cracks”, “Crytogenics”, and a two-pitch called “Zanzibar”; I am happy to say that I am now way more comfortable with hand jams. I will say bye for now. Still having lots of fun roughing it and exploring this beautiful state. I am missing my family and friends back home, especially as Canada Day approaches – also anxiously awaiting what it will be like on Independence Day this weekend. Much love to peeps back home!